Cal Bird was part of the "Golden Era" of American tying. He was also an impressionist like others of his ilk, like John Artherton. His arguably most famous fly is the Bird's Nest. ..it looks like a mayfly nymph but it lacks the clear definition of a top mounted wing case, and the head is too bulbous. 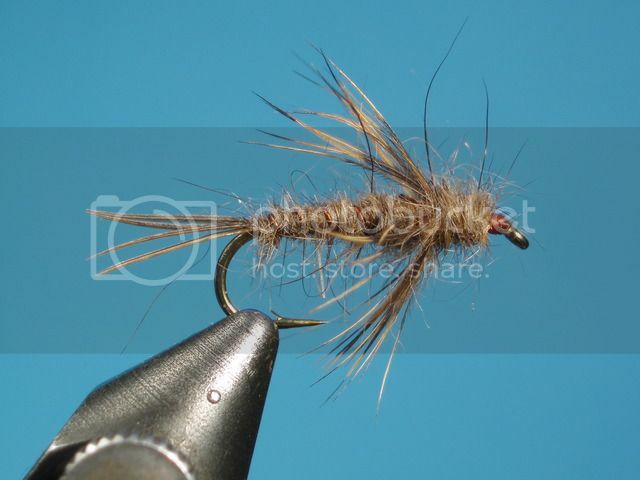 A trout could mistake it for a caddis pupa, but caddis do not have a tail. You could say it will pass for a stonefly nymph, and it does, but the abdomen is not nearly as elongated as the natural's abdomen, and the many protruding fibers do not suggest the hard exoskeleton of that order"
It is the suggestiveness of the fly that makes it so successful.. Its a style rather than a pattern, the original using mallard or teal breast feathers for the hackle, but this one has Grouse. I think here in NZ, the colour wouldn't matter too much, but perhaps with a nod to our swimming nymph, the Nessie we can look at greys, olives and greens. Just don't use beads. Calvin Bird would have hated them. Enjoyed both of those posts Johnno. Don't have a copy of "Founding Flies" so would enjoy it if you put the "main details" in to posts like above -:) Keep up the good work!